Barbara, my niece, and I departed from San Jose California on Tuesday June 8th. 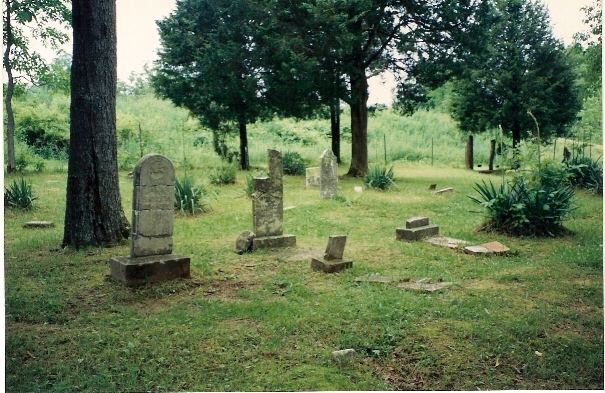 We arrived that afternoon in Kansas City Missouri and drove directly to the Smith cemetery in Mandeville, Carroll County Missouri. Before I left home, I found a Shirley living in the area. I called him and by coincidence, he was the trustee of this cemetery. 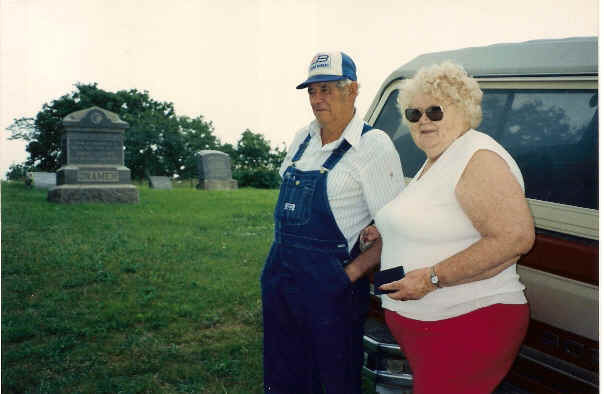 He and his wife met us on the country road and lead us to the Smith cemetery. The weather was threatening! It felt like tornado weather to me. It was warm, windy, very dark sky, but it was not raining. 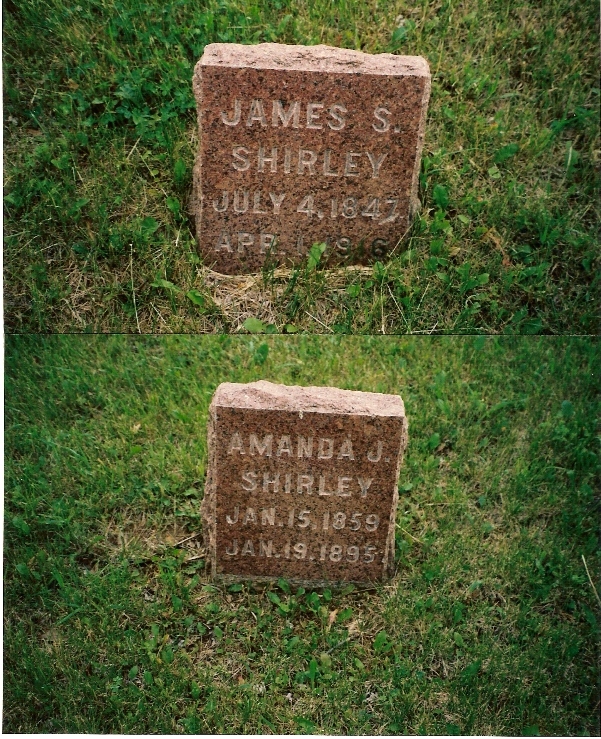 I asked about the weather as I moved around taking pictures of the headstones...as quickly as I could! He said they get many tornadoes thru there! They seem to be keeping an eye on it too! Needless to say, we hurried to our cars and got out of there. About 30 minutes away, we were in beautiful sunshine and everything was great! 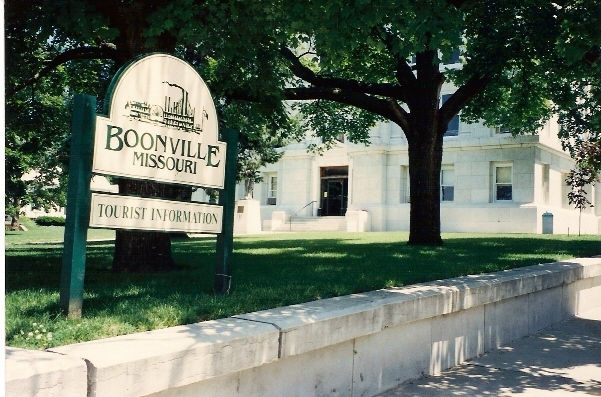 Our next stop was Boonville, COOPER COUNTY, Missouri. We were running about an hour late by the time we got there. We met Walter Shirley of Hemet California in front of the Court House. Walter came from this area of Missouri and showed us around. We didn't have time for research as it was getting late and we had to get to Columbia Missouri where we had motel reservations. The next day we drove back to Boonville and researched. We also visited and researched in Columbia and Jefferson. 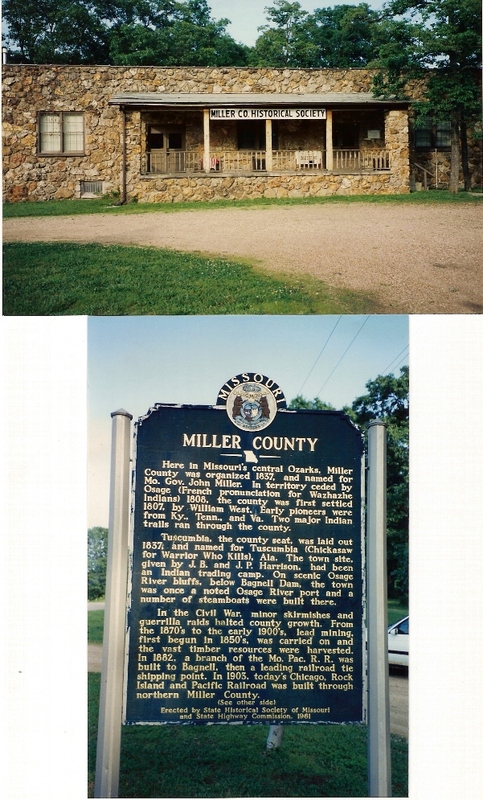 When we arrived at the Miller County Historical Society it was closed. We spent the night in Rolla Missouri. 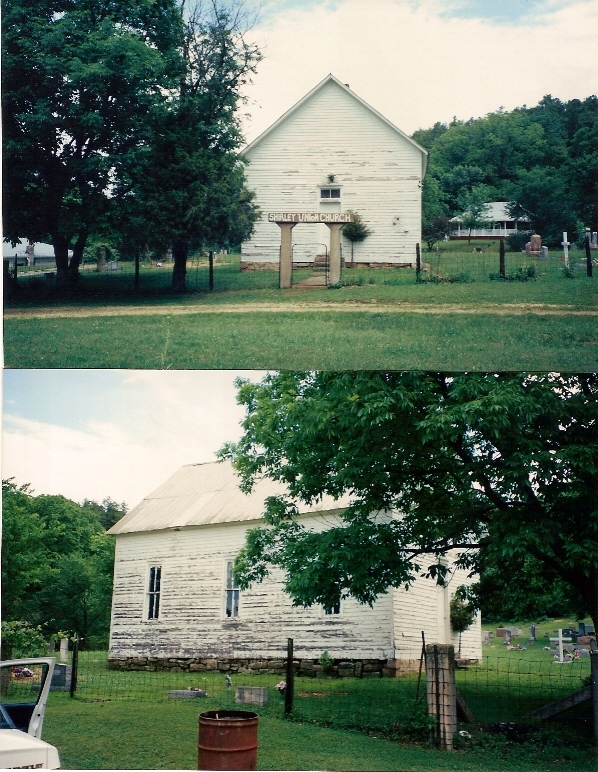 The next morning we drove to SHIRLEY Missouri, and Potosi. In the afternoon we researched in Cape Girardeau. From here we went to Doniphan to meet Pauline Dunning. They were preparing for a Shirley family reunion themselves and therefore this group could not come to our Convention. About half way to her place from Cape Girardeau, a rain storm came that was so bad we could hardly see the road. We thought several times about turning around and getting away from this section. But... we kept going. Missed the turnoff and ended up crossing the border into Arkansas and had to drive back about 6 or 7 miles. By the time we got to Pauline's it was dusk and she didn't feel comfortable about taking us to the cemetery and old school house. It was a few miles away and with getting off the road, it could be muddy, etc. We stayed about 30 minutes and decided we better get on our way. We still had to drive to St. Louis MO. We arrived in St. Louis Missouri about 2 AM. We were tired!!! The next morning we got up early to see where the meeting room was and began getting it set up for the Shirley Convention. They were having problems with a leak in the ceiling. The air conditioner was stuck in the ON position. It was raining a little. I went back to our room to call our guest to see if she was feeling better and if she was going to attend the Shirley Convention. I offered to come and pick her up etc. She said her dog was not well and the veterinarian was there and she could not talk right then. But she said she wouldn't be able to come. I asked if we might come a little later that day to at least visit with her. I very much wanted to meet her. I told her I would call in the afternoon to let her know what time I could come. After lunch, it began raining heavily. 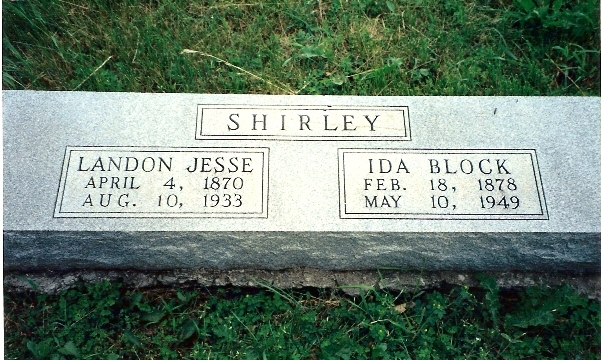 As much as I wanted to meet the Great granddaughter of BELLE STARR, I was not about to venture out into St. Louis in a storm to find her...unfortunately! The afternoon was spent finalizing preparations for the Shirleys and greeting them as they arrived. I was concerned for those not there yet as the driving conditions were not good! The rain was coming down in sheets against the back window of our meeting room. We enjoyed meeting those who did make it! They came from many states... Washington, California, Alabama, Pennsylvania, Maryland, Nebraska, Ohio, Indiana, Illinois, Kentucky and Missouri. Our numbers were less than any other convention! I was very disappointed about this! Therefore, I have decided since our numbers remain on the decrease, it is not worth the energy and expense for me to continue to coordinate these gatherings. I will be more effective working in the office. I shall continue with the Shirley Association and to produce the Shirley NEWS. After the Shirley Convention on Saturday afternoon, Barbara and I packed up everything and headed for Lawrence Kansas. We arrived there in the early morning hours, again! I enjoyed attending a family reunion for my side of the family. After the reunion, I met with a few Shirley Association members... Steve Shirley from Hardin Missouri, Betty Macey from Topeka Kansas, Marian West from Kansas City and guests at our motel. During this time we were informed of a tornado watch in our area. So, the rest of the afternoon and evening, we kept the TV on as we chatted, to keep informed. My sisters son, Doug Todd of Meridan Kansas, came to meet me at our family reunion. He came to our motel too, to continue our visit. After the Shirleys left, we went to dinner and back to the motel. Barbara, Doug's wife and son stayed in one room, while Doug and I sat in the other room talking until 1AM in the morning. What made this so great is that I had only met him once before...at my sisters funeral in Florida in May 1976. He was in Junior High at the time. I have only had one phone call from him during this time and so basically, we didn't know each other...at all! He said he had questions and wondered it I would answer them for him. I said anything I know, I will gladly share with him. I told him about our family...as far back as I know on all sides and about his mother and I as we grew up, as much as I knew about her as we didn't live together that much. 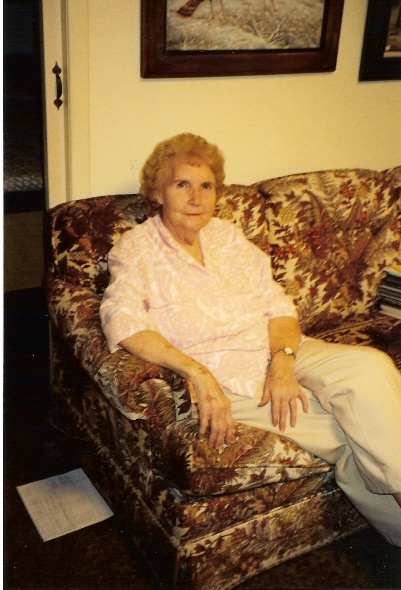 (I was raised by my grandparents while she remained with my mother). I offered to send him our family data...book, and he was delighted! We cried and talked until it got so late that we had to call it a night. We bonded as a family that evening! Well worth my trip if I accomplished nothing else! 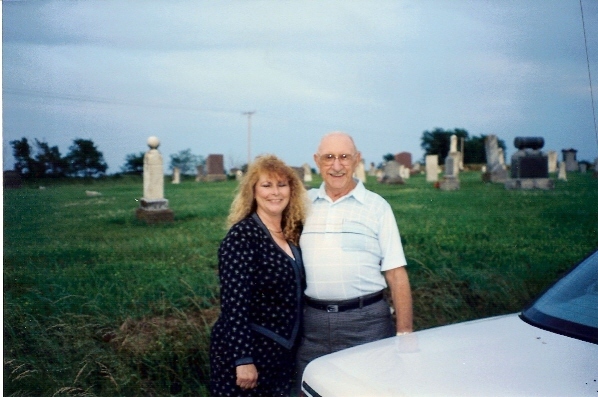 The following day, we traveled on thru Kansas visiting my grandfather...(not a Shirley), relatives and seeing where his grand parents had lived, as well as he himself when he was a boy. I visited the cemeteries...of course! The next day I was visiting my fathers people. I visited my half uncle who was 93 years old in Chetopa Kansas on the border of Oklahoma. The following day...my father's people came together for a small gathering. I saw where my grandparents had lived on both sides of my fathers family, the school he attended etc. I should mention that I have known nothing about my father's family ever... It was February 1993 that I began to get serious about trying to find out about where my father might be or if he were still alive. I found his cousins by using the telephone to call the area where my father was born. They hadn't heard from him for about 10 years. I was so excited to find these cousins and to learn they had lived in the same area since late 1800's, that I arranged to come for a visit. I later learned my father died in 1986. This fact I learned thru the Social Security computer program at our local branch of LDS Church. I have spent much time researching there even though I am not a Mormon. I cannot describe how I feel finding my own roots and having the opportunity to meet all of these relatives! I feel I understand what made him the way he was after talking and asking all kinds of questions of my cousins who remembered him. It was wonderful and I feel so at peace to know and learn about my father. I have been hesitant for years to learn about him. If you or someone you know is in a similar situation, I encourage you to search to learn about your parent. I never dreamed in a million years that I would actually do this but now that I have, I'm glad I did! This was not a Shirley story, but I thought you'd be interested in it anyway. Remember...I am not a Shirley, I am just married to one! 2008: I am pleased to say that I have made connection with my Moore roots and recently have made contact with my half brother. You can read about this elsewhere on this site. 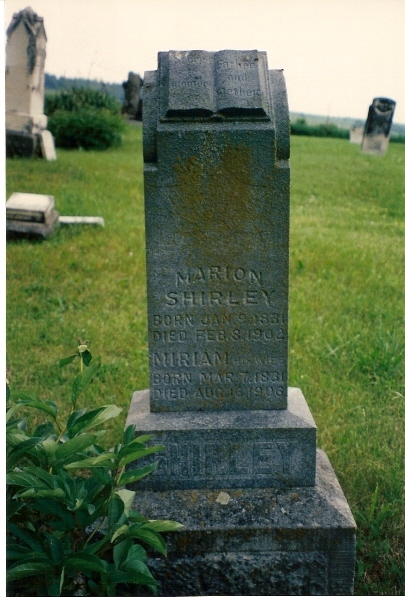 Look under MY DAD's Ancestors and look at my story of my search for my dad, then look at his page (link on the page to his). That is for those who might be interested. 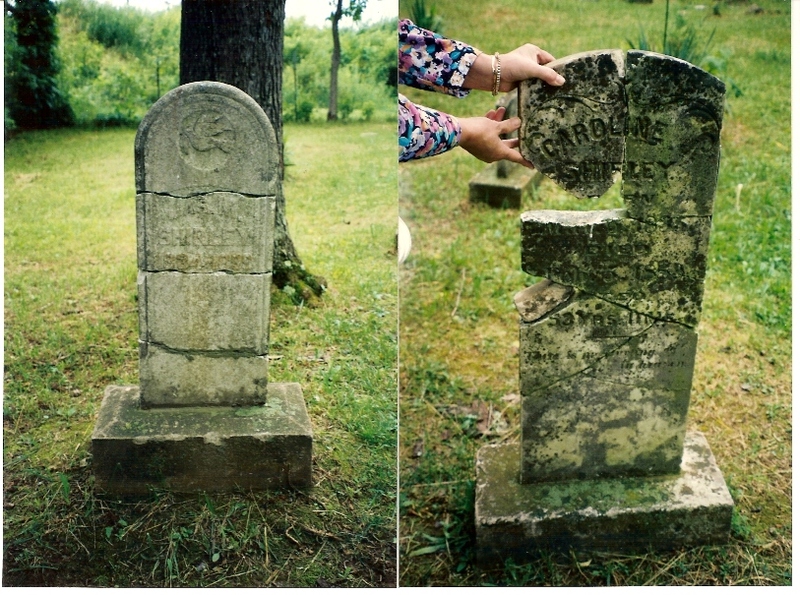 Another example of never giving up your search for your relatives or ancestors. This was a very special trip! We covered a lot of ground, met many people and I connected to my roots both on my mother's side and my father's side.